Suddenly, but peacefully, on January 23, 2019, Elsie Stutsky, aged 87 years, passed away at the Tudor House Personal Care Home, Selkirk. She is survived by her loving husband William, of 66 years. Elsie was born in Winnipeg on March 5, 1931, and was the third eldest child of George and Mary Swystun. Elsie grew up on the family farm in Rossdale, Mb, along with her 4 siblings. She completed her education in St. Andrews and Winnipeg, and shortly thereafter began teaching in the Komarno area. It was there that Elsie attended a wedding, and where Bill decided he needed a dance with this beautiful girl, and the rest would be history. They were married on October 25, 1952 in Winnipeg, and settled into family life in Selkirk where they raised their 3 children, Allan, Vance and Velvet. Later on they built a warm and welcoming home on River Road where they lived for many years. Elsie retired from Western Canada Lotteries in 1991, and they moved to Lee River. They enjoyed their life there, where Elsie would grow yet another bountiful garden, have beautiful flower beds, and entertain anyone who dropped in. After many years of enjoyment at the lake, life took them back to Selkirk. Besides her loving husband Bill, she leaves to mourn her passing, her sons Allan (Susan), Vance (Dalyna), and her son-in-law Barry Tepleski. She also leaves her 6 loving grandchildren, Tracy, Brad (Tracy), Glenn, Devin (Christine), Carly and Nadia. Elsie held a special place in her heart for each grandchild, and recently made room for her first great grandchild, Sierra, who brought her great joy with every visit. 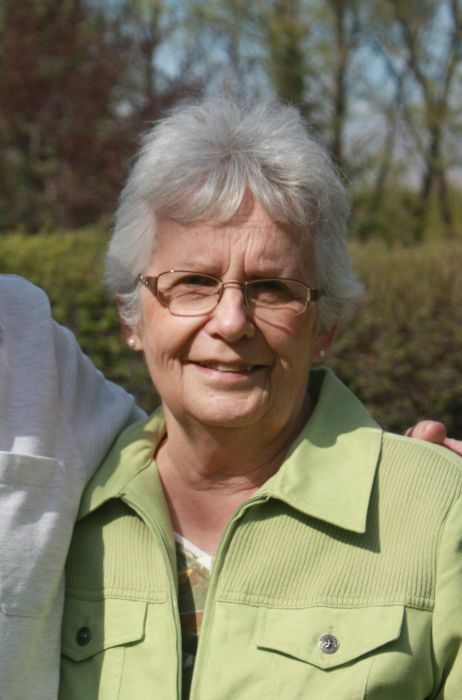 She also leaves behind her devoted sister Donna (Reg) Wyatt, brother Tony (Germaine) Swystun, sister-in-law Peggy (Adam) Kibsey, along with many nieces and nephews. Elsie was predeceased by her daughter Velvet in 2015, as well as her sisters Julia and Mary. The family would like to acknowledge the staff of Tudor House for the loving care that was extended to Elsie during her stay there. In keeping with her wishes, there will be no formal service, with a private family gathering to be held in the spring. In lieu of flowers, donations can be made to the Tudor House Foundation-Resident Donation Fund.